DSI install security and communications systems from industry leading equipment manufacturers like Milestone Systems for CCTV solutions, Ericsson LG for telephone systems, HKC for intruder alarms, ACT for access systems & FAAC & CAME for gate automation and Connectix for data, voice and fibre cabling systems. Get the CCTV camera system you need to keep your home or business safe. Contact DSI Security & Communications today for more information about our CCTV systems. Take Control of your Phone System, anywhere. 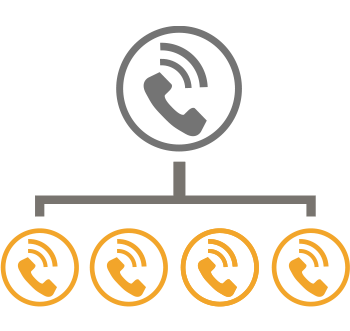 DSI are experts in open-platform software and appliance VoIP phone systems that work with popular IP Phones and SIP trunks, whether on-premise or in the cloud. DSI supply and install award winning intruder alarms for homes and businesses across Ireland. Contact DSI Security & Communications today for more information about our Intruder Alarm options. DSI provide a full range of automation systems for gates, automatic barriers and automatic pedestrian doors. for Voice & Data Networks. All of our installations are fully tested using Fluke DSP and DTX cable analyzer and full test results are submitted on completion. Protect your business, restrict access around your building to prevent unauthorised access to data sensitive areas, integrate time and attendance. DSI are experts in the design, installation and maintenance of commercial door access systems.